God has given Christian parents the tremendous responsibility of raising their children in the way of the LORD. WHAT IS THE MEANING OF DEDICATION? Dedication services find their roots in Hanna’s dedication (1 Samuel 1:11). She prayed for a son and God honored Hana’s prayer and gave her a son whom she named Samuel. Hannah kept her vow and dedicated (which means “to set apart”) her son, Samuel to the LORD. Christian parents who bring their children to be dedicated do so as an expression of their faith in God and as a dedication to themselves to Christian parenthood. IS DEDICATION THE SAME AS BAPTISM? The child dedication ceremony is a covenant between the parents and God on behalf of the child. This is different from Baptism in the Bible which is only for those old enough to believe and to have a basic understanding of salvation. WHEN SHOULD THEY BE DEDICATED? God entrust parents with the responsibility of establishing a foundation built upon Jesus Christ early in the lives of their children. Ephesians 6:4 “Fathers, do not exasperate your children instead, bring them up in the training and instruction of the LORD”. The pastor will introduce you and your children will give you an opportunity to tell a bit of your story of how you came to LTBC. You are encouraged to share. Parents will commit to lead a Godly life before the children and encourage them as they grow to follow your example. To pray for your children that God would save them. To train them in the way of the LORD. Impress upon your children as they grow, the need they have of a Savior and the promises of God in Christ Jesus. CAN I HAVE OTHER FAMILY MEMBERS JOIN US? You may invite grandparents. 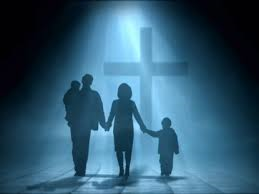 God parents or other family members to join you in your commitment to help raise your children to love the LORD and follow Him. WHEN CAN I DEDICATE MY CHILDREN?